TUCSON, Ariz., Oct. 7, 2018 /PRNewswire/ -- The U.S. Army awarded Raytheon Company (NYSE: RTN) a $21 million contract to develop a new propulsion system for the venerable TOW® missile. The contract funds a three-year effort to make performance improvements to the tube-launched, optically tracked TOW missile. The TOW system is a long-range, heavy assault-precision anti-armor, anti-fortification and anti-amphibious landing weapon system used throughout the world today. 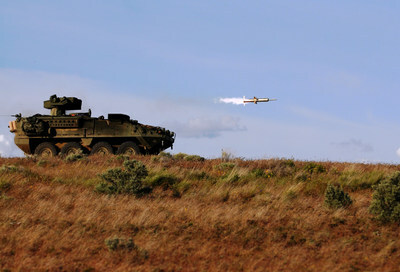 The radio frequency-guided TOW missile enables ground forces to achieve overmatch against adversary armored and wheeled systems, regardless of the environment or conditions. "Improving TOW's propulsion system will increase range and deliver enhanced protection for ground troops while providing them with more capability," said Kim Ernzen, Raytheon Land Warfare Systems vice president. "Raytheon and the Army have consistently upgraded the TOW weapon system to keep it relevant for today's fight, and help our soldiers preserve their overmatch advantage on the battlefield." The new contract builds on other development activities. Performance improvements will be integrated into all TOW missile variants, including the top and direct attack 2B, direct attack 2A and Bunker Buster missiles. The TOW weapon system is deployed with more than 20 international armed forces and integrated on over 15,000 ground, vehicle and helicopter platforms. It's also a preferred system for NATO, coalition, United Nations and peacekeeping operations worldwide. TOW will remain in the Army's inventory until at least 2050. Raytheon has delivered more than 690,000 TOW weapon systems to U.S. and allied warfighters.